Born Mtutuzel Pukwana, 2 September 1941, Port Elizabeth, South Africa, died 29 June 1990, London, England. Although for the majority of his career Pukwana specialized in the alto saxophone, playing a wild, passionate style influenced by South African township mbaqanga, sax jive, Charlie Parker and King Curtis, the first instrument he played was the piano which he learned as a 10-year-old from his father. Moving to Cape Town, and still playing piano, he joined his first band, Tete Mbambisa's Four Yanks, in 1957. It was around this time that he began playing saxophone, learning the rudiments from friend and fellow sideman Nick Moyake, and spending a lot of time listening to imported records by King Curtis, Charlie Parker, Louis Jordan, Sonny Rollins and Ben Webster. In Cape Town, he became friends with the white jazz pianist and bandleader Chris McGregor, who in 1960 invited Pukwana to join his Blue Notes band as saxophonist. He spent the next three years touring South Africa with the Blue Notes, under increasingly difficult conditions, until apartheid legislation made it practically impossible for a mixed race band to appear in public. The group's opportunity to leave the country came in 1963, when they were invited to appear at the annual jazz festival held in Antibes, France. Once the festival was over, the band spent a few months working in Switzerland, until, with the help of London musician and club owner Ronnie Scott, they were able to acquire work permits and entry visas for the UK. Pukwana remained with McGregor until 1969 (by which time the Blue Notes had been renamed the Brotherhood Of Breath), when he took up an offer to join Hugh Masekela's fledgling Union Of South Africa in the USA. When that band fell apart in 1970, he returned to London and formed his own band, Spear, shortly afterwards renamed Assegai. Pukwana also performed and recorded with, variously, Keith Tippett's Centipede, Jonas Gwangwa, Traffic, the Incredible String Band, Gwigwi Mrwebi, Sebothane Bahula's Jabula, Harry Miller's Isipingo and the Louis Moholo Unit. 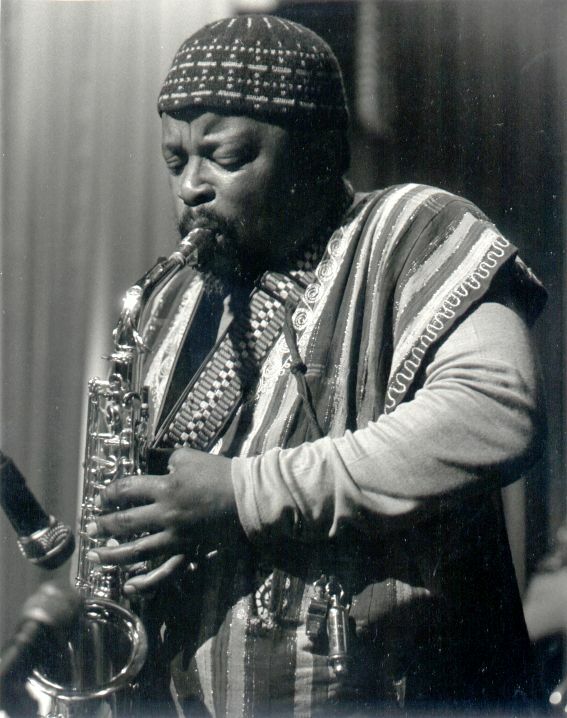 He made memorable contributions to John and Beverly Martyn's Road To Ruin in 1970, and the same year co-led a sax jive/kwela album, Kwela, with fellow South African saxophonist Gwigwi Mrwebi. With Assegai, he recorded two albums - Assegai and Assegai Zimbabwe - before launching the second Spear in 1972. That year, he was also a featured artist on Masekela's London-recorded album Home Is Where The Music Is. The new Spear included in its line-up fellow ex-Blue Notes Mongezi Feza (trumpet) and Louis Moholo (drums), along with South Africans Harry Miller (bass) and Bixo Mngqikana (tenor saxophone). Their first album was the superb In The Townships, in 1973, which, like its follow-up, Flute Music, took the mbaqanga/sax jive/jazz fusion into previously uncharted depths of emotional and creative intensity. In 1978, Pukwana disbanded Spear to form the larger band Zila, a horns- and percussion-dominated outfit whose album debut was Diamond Express. He continued leading Zila, recording the occasional album and working the UK and European jazz club and festival circuit, until his death from liver failure in 1990 deprived the jazz and African music scene of one of its most consistently inventive players. When Mike Fowler suggested that I write a few words about my bandleader of 10 years or so my immediate reaction was one of being very pleased to do so, Dudu having left a very deep impression on me as he did on all of us musicians who were lucky enough to have spent some time under his wings. Then up popped the question: what do I write about him? As there were many sides to Dudu Pukwana I asked Mike for some ideas as to what I should concentrate on. Back came the prompt email reply: his personality, performance skills, rehearsing, humorous anecdotes, etc - that could take up six books! Now this is not really so much of an exaggeration. Dudu really was larger than life. There are so many humorous stories, but I am sure someone else can remember them and tell them better than I. Dudu was a jolly person - he was often laughing and would sometimes narrate the odd humorous tale or two himself (which reminds me of a favourite phrase of his on the bandstand: "tell me a story" - a musical one that is). Dudu was a very "loud" type of person - a whole room would notice him the moment he walked in. Dudu also had a darker angry side that occasionally took over and could even be a little off-putting to strangers, although friends knew it was only a role he was acting out. At times he could be a fabulous actor as well as being a most wonderful performer. He was a "positive" person. I can't remember him ever being malicious. He was a "charming gentleman" especially, but not only, when he wanted to avail himself of something e.g. that one last drink after the last set when the bar had already closed! He would sometimes call himself "a black paddy". He and his friend Joey (a retired singer from a South African vocal group) used to occasionally frequent some of the local bars in their predominantly Irish inhabited area of London - Kilburn NW6 - where they would play pool (at which Dudu was a real mean opponent) and generally enjoy life. In some ways "the black paddy" was very apt although some people maybe saw him more as some sort of South African medicine man or shaman! I think Dudu, in spite of living in exile, felt at home in England and in Kilburn where he and his wife Barbara had a pleasant little house. Dudu's room which we used for rehearsals was covered from floor to ceiling with pictures, photos and album covers of his favourite musician's including of course members of his own band, Zila - a kind of monstrous mishmash montage!. He spoke good English, bought and read the Sun most mornings and generally appeared to be happy with his lot in life and never seemed to become too involved in politics, although we did of course play lots of benefit gigs on behalf of the ANC etc. At home he would often play, amongst other things, South African music (of all sorts) at such high volume levels that his Indian neighbours probably thought that they were temporarily in Port Elizabeth instead of Bombay! Dudu thrived on London's cosmopolitan flair and was more than happy to have musicians in the band from foreign shores like Barbados (Harry Beckett) and America (Errol Clarke, Roland Perrin) as well as his South African brothers and sisters. His attitude to the music was also very eclectic. 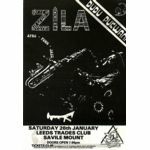 Sometimes Zila would be described as playing funky afro-jazz-rock with township roots not forgetting the all so important swing and free jazz elements. Dudu loved this openness of style - freedom of artistic expression. Dudu gave every musician that came through his band the opportunity to be himself and every musician, with maybe one or two exceptions, really did love to work with Dudu. Dudu inspired us to play our best, even on days when he himself was not on top form. There were few bad gigs; there were some good gigs and many, many absolutely amazing gigs. 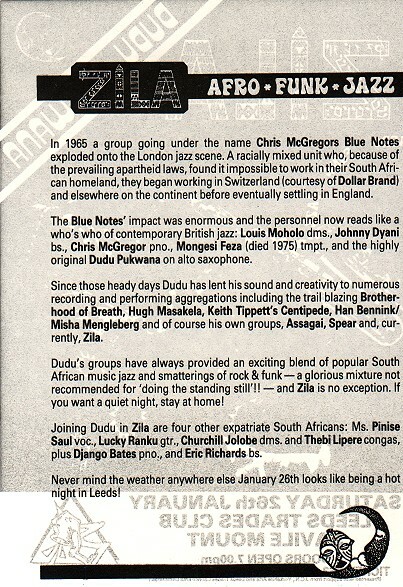 Dudu was very keen on making cassette copies of every gig (and rehearsals). We would listen to these recordings non-stop in the minibus on tour and on the way to gigs. There were many reasons for the recordings: first of all he really liked listening to his band members play, secondly, the tapes were a good reference point for any new musical arrangements as not everything was written down in full detail, thirdly, he might get an idea for a composition from an improvisation etc etc. The more "normal" musician's reasons for recording a gig, to do a kind of quality control on his soling, to see what did and did not work were not really in his mind. He was beyond improving his technique, style etc - his playing was simply an extension of his life. Much has already been written about his saxophone playing: from Ben Webster through Charlie Parker to John Coltrane - it was all in there plus a very big dose of Dudu Pukwana - playing free, imitating the sounds of the chickens on his uncle's farm back home somewhere in the Eastern Cape, sounds of agony, sounds of love, so much music bursting out of one person and always laced with lots of sweet, sweet soul. He meant every note he played just as he meant every movement he made. Whether it was a quartet or big band Dudu's presence as leader was always felt, although he sometimes relied on us for direction and inspiration as we did on him! He was the best teacher we all had ever had. He had the most incredible "feel" for the music. I have since worked with some musicians who were perhaps technically better but am yet to encounter a player who has that wonderful thoroughly dynamic intuitive approach to the music that Dudu had. The way he would tap out (on my arm or shoulder), or sing (including of course those wonderful Zulu clicks), a rhythmic feel was so complete that there were no excuses for not getting right into the groove! At the piano, at rehearsals, he would show us how his music should sound, occasionally mentioning the days back at home when he was hired as a piano player in a nightclub or when he used to accompany a local choir. He was always looked up to and treated with respect, especially by the South Africans but also by the rest of us. He loved his own music, his band, his musicians and his life which could have maybe been a little longer had he not been so excessive but unfortunately this is so often the case with the true musical geniuses and Dudu was just that: a master musician. ER.